This is my May 2016 Davis Mountains astronomy pictures page. See the daylight pics here. Check my Zeiss 135mm lens page for some super huge versions of these images! This is 100 minutes total exposure at f4. Check out the HUGE version of this image on my Zeiss 135mm lens page. 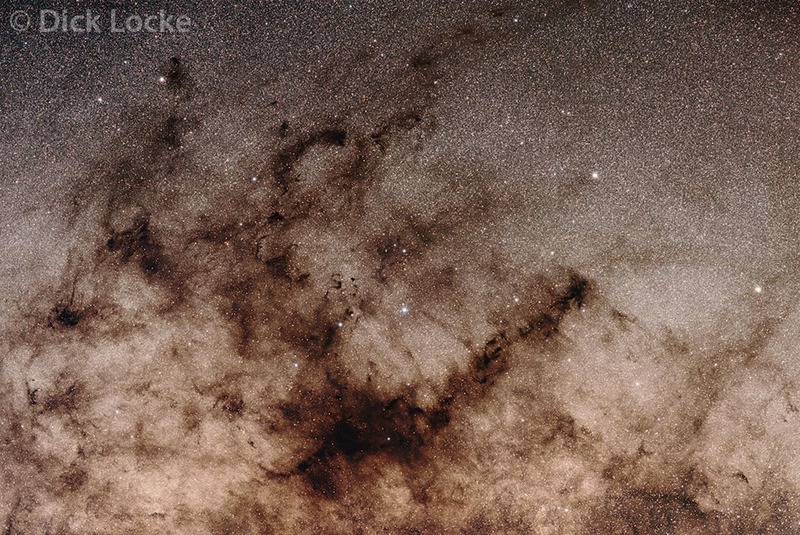 Or, check out the object identification on my Pipe Nebula page with a mouseover sky chart. 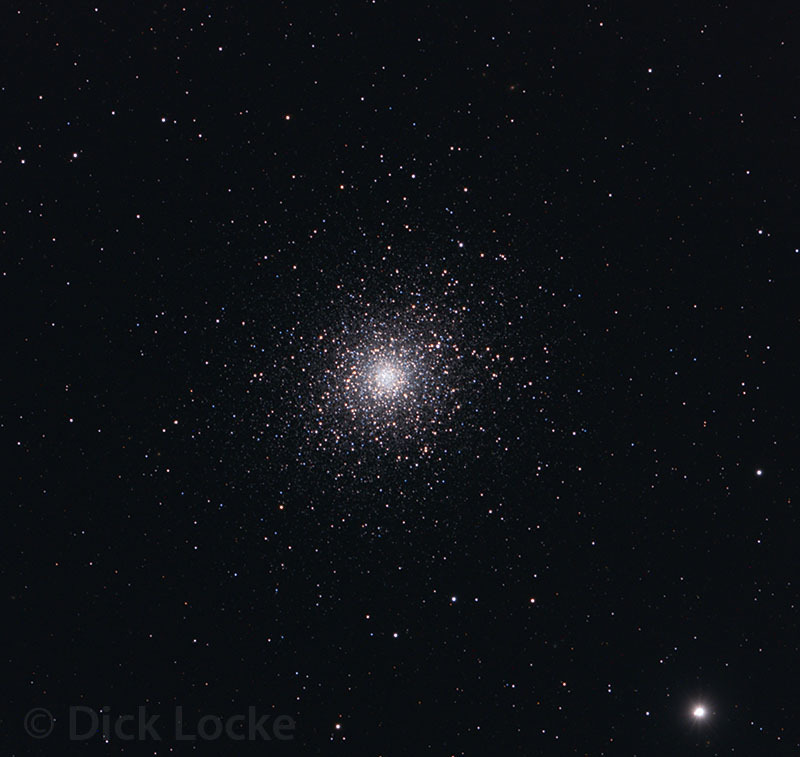 Here's another star cluster from the Spring 2016 trip. This one used both the Takahashi TOA 130 telescope with flattener (5*5 minutes) and Nikon D810A camera, plus the Takahashi FSQ-85 Telescope with reducer, QHY8 CCD (8*5) minutes. My equipment rides on the AP 900GTO mount. Messier 3 is also cataloged as NGC 5272. I also added a bigger version to my Star Clusters Page here. I mostly used the FSQ image for star colors on this one. M4 is worthy of its own page! I was working with the Takahashi TOA 130 telescope with flattener a lot during this trip and decided to hit a few star clusters. This is 9 frames of 5 minutes each with that optical train plus the Nikon D810A camera. My equipment rides on the AP 900GTO mount. 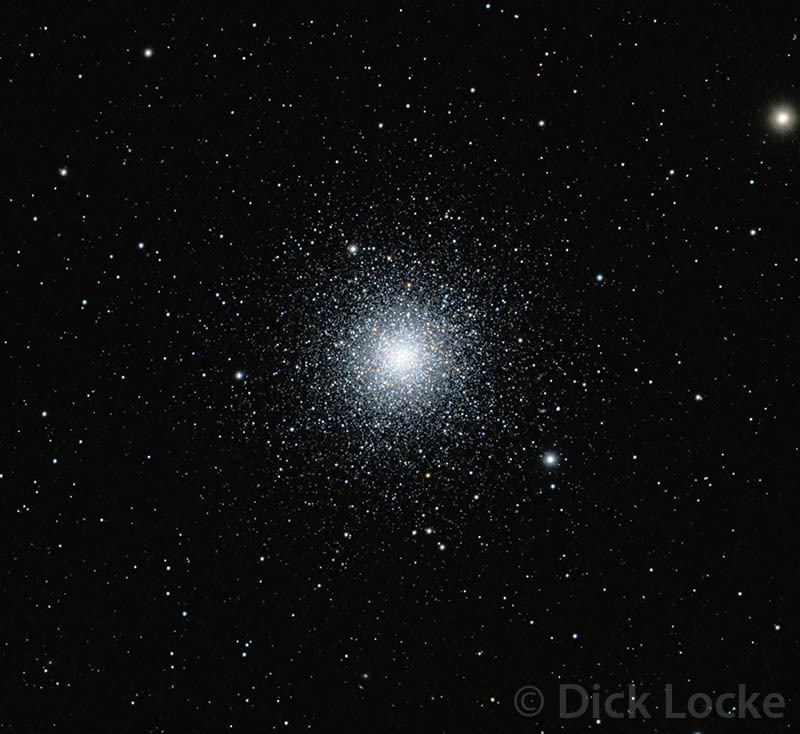 Messier 5 is also cataloged as NGC 5904. I added a larger version of this on my Star Clusters Page here. Notice three other much smaller galaxies in the frame. Older efforts on this object are on my dedicated M63 page here. Further processing and blending with older images in progress. This is in Canes Venatici and consists of 2.75 hours total exposure (33 * 5 minutes). Takahashi TOA 130 telescope with flattener plus the Nikon D810A camera riding on the AP 900GTO mount. Shown here: from left to right, include: Cat's Paw Nebula and NGC 6357, M6 with M7 (both open star clusters) above that, the Lagoon is cut off on the right. More from the Southern Milky Way is on my page dedicated to that area here. Nikon D810A camera, Zeiss 135mm f2 APO lens at f4, just 5 frames of 5 minutes each (25 min total exposure). Piggyback on the AP 900GTO mount. My processing techniques are discussed here. This "small" version of the area doesn't really do it justice. 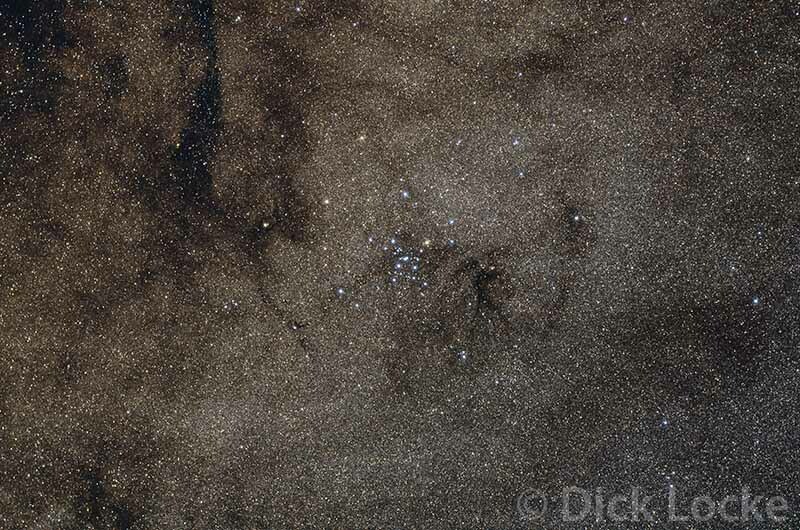 See a larger version of this open star cluster, along with more information about the objects in the frame, on my M7 page. Takahashi FSQ-85 Telescope with reducer, AP 900GTO mount, QHY8 CCD Camera. 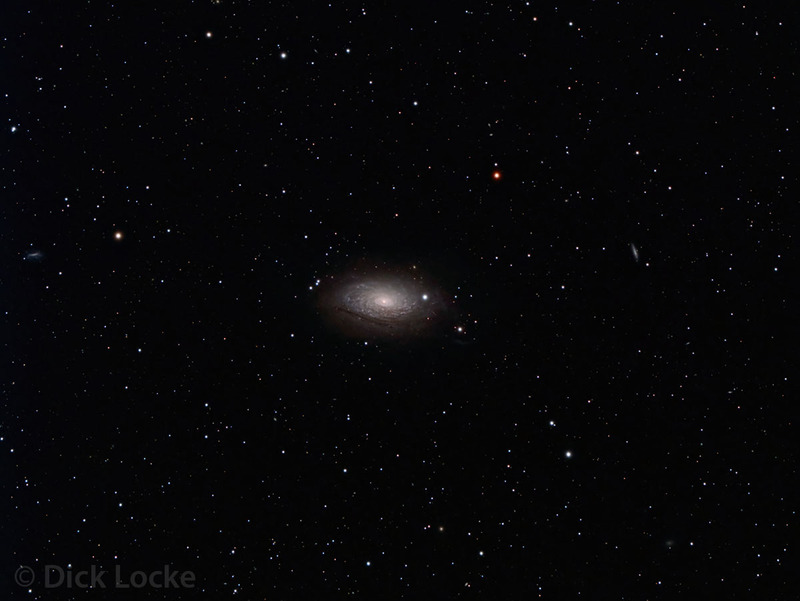 This consists of 13*5 minute frames with the Takahashi TOA 130 telescope with flattener and the Nikon D810A camera. 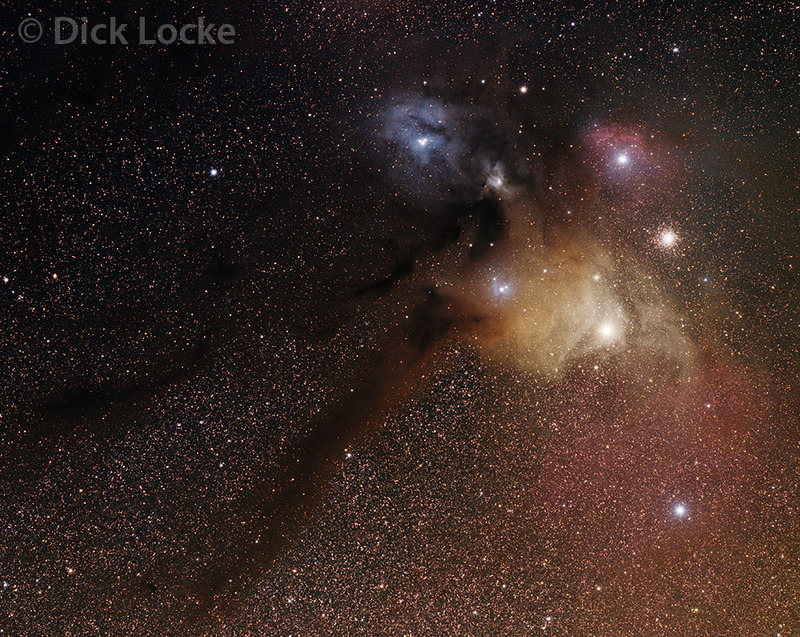 More details are on my Antares Area Prime Focus page. 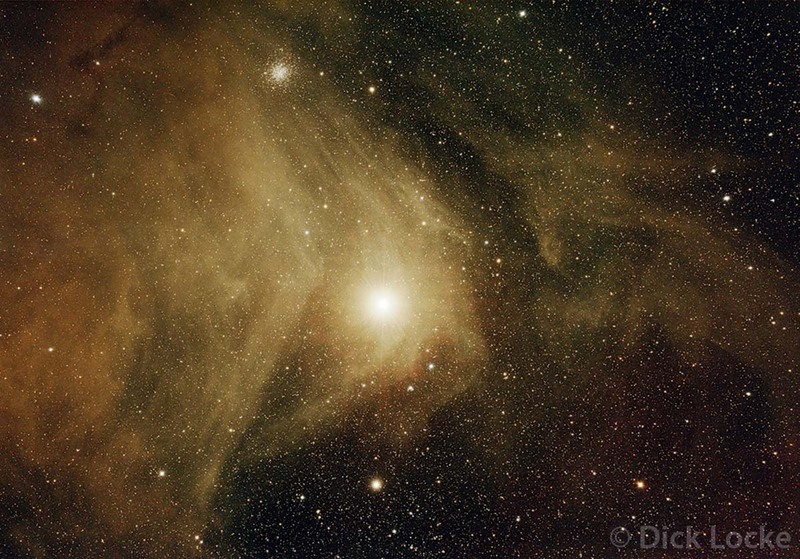 This consists of 2 hours total exposure with the Takahashi FSQ-85 telescope with reducer and QHY8 one shot color CCD camera. Barnard objects shown include B268 center and B270 right. 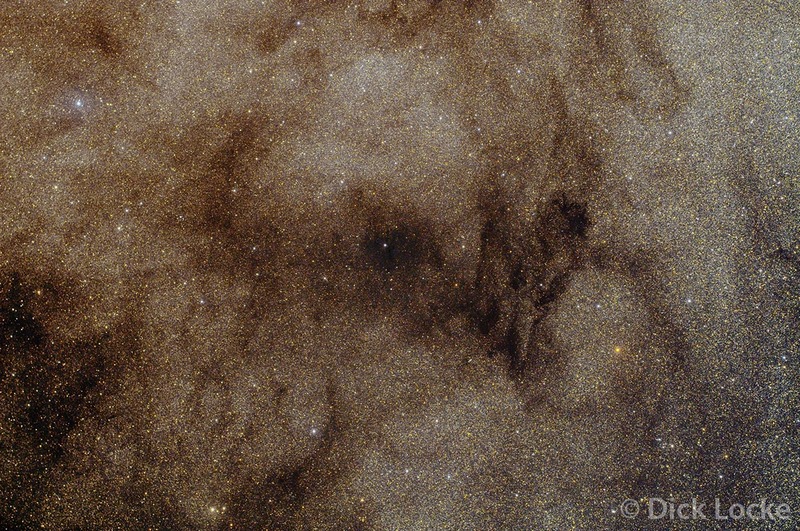 There's a mouse-over image showing the dark nebula on this page, which shows this and other dark nebula near the "Pipe Nebula."